There’s no better place on earth in summer than #PureMichigan. Summer vacation is a time to load the car and head to the lakeshore – bikes tied to the back and sandals in tow. The great thing about our Great Lakes state is that we are never more than 20 minutes from an outdoor adventure that can rival any escape to greater terrain up north or out west. As part of your outdoor escape, get the kids, neighbor’s kids, and even dog outdoors to plan an foraging expedition to learn wild edibles. From bogs to dune habitats at the lakeshore, this is a great chance to expose children to parts of Michigan they’ve never experienced before AND teach them new outdoor skills. Short on time and want an even lower cost excursion? Plan this endeavor to take place in your own backyard! There are many wild edibles to discover right outside your doorstep. Pick a place to explore: Let the kids select the plants around them to learn, sometimes the most adventures can actually happen right outside the back door in the yard! Safety: Remind the explorers to never pick nor eat a plant until they can properly ID the plant. 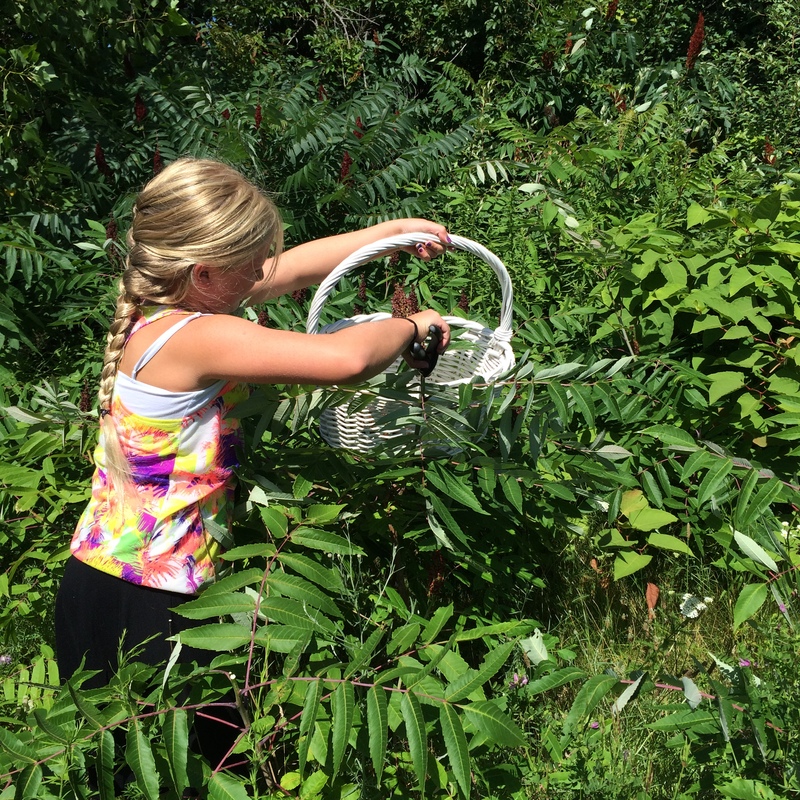 Remind the children of the rules of foraging: Ask permission if it is private property you are exploring and respect the rules of any parks area. Respect plant sustainability: Teach the children that we are stewards of the land and can help plants grow and propagate, especially native plants and never harvest plants that are on the threatened or endangered list. Pack a foraging kit: Include a notebook, colored pencils, a camera and perhaps a snack, sunscreen and bug repellant (need an herbal recipe? check out my blog here). Find the right expertise: Head to the library and select a few good field guides and consider picking up a copy of Midwest Foraging at your local bookstore. Let this journey be kid-led. Let them explore the outdoors, make a plant journal and even let them get really dirty. Create a cool certificate or bad for those kids completing the adventure and celebrate them for trying something new. It’s low-cost, high-yield activity that offers lessons that last a lifetime. Thanks to the glaciers long ago, the ecosystems of Michigan area are very diverse. And what better way to learn about them than to explore them on foot with the family in tow? In Kent County, the Kent County Parks Foundation and The Friends of Grand Rapids Parks offers miles and miles of maintained trails in its expansive parks network that local residents can explore free of charge. The State of Michigan also offers great resources for hiking. Headed north? 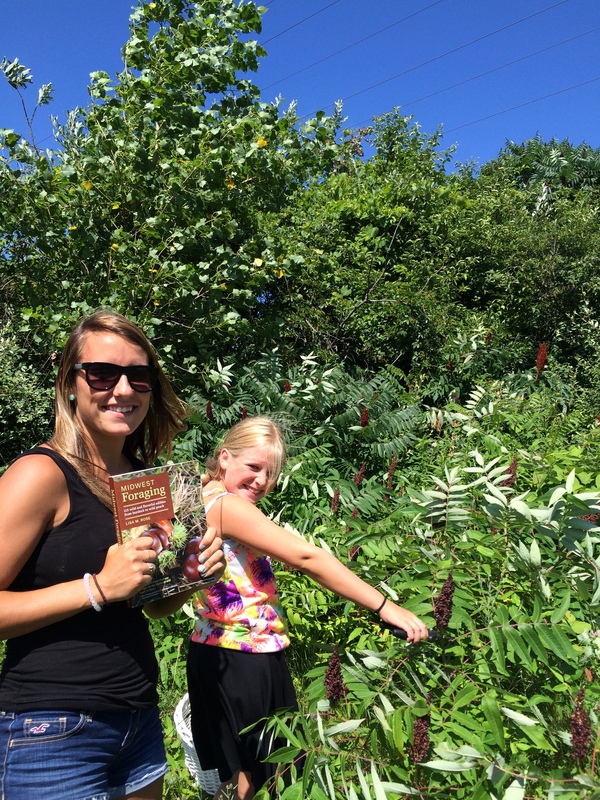 Try the Leelanau Land Conservancy for ideas of local nature walks. Some programs offer walks free for area residents. Be sure to add to your summer bucket list nature centers and eco-preserves to walk the trails and experience the land that might be different. Remember, many of these habitats may have stringent rules prohibiting foraging – be sure to use these areas as learning laboratories only, taking nothing and leaving only footprints. 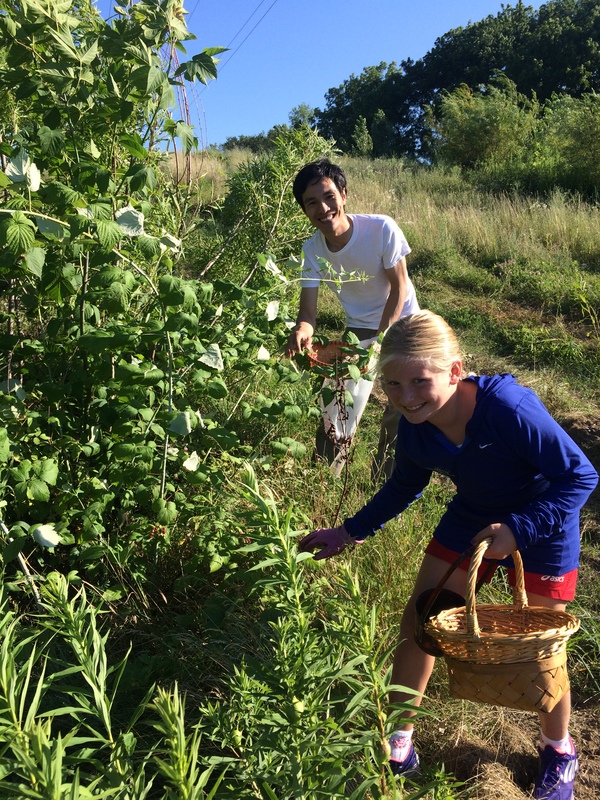 Gathering black raspberries in the hedgerow behind our house. Click HERE for my kid-friendly Staghorn Sumac Lemonade recipe and for more easy tips for foraging with kids, visit WZZM13 Online: Staghorn Sumac.